Is Vybz Kartel Getting Married & Baptize In Prison ? 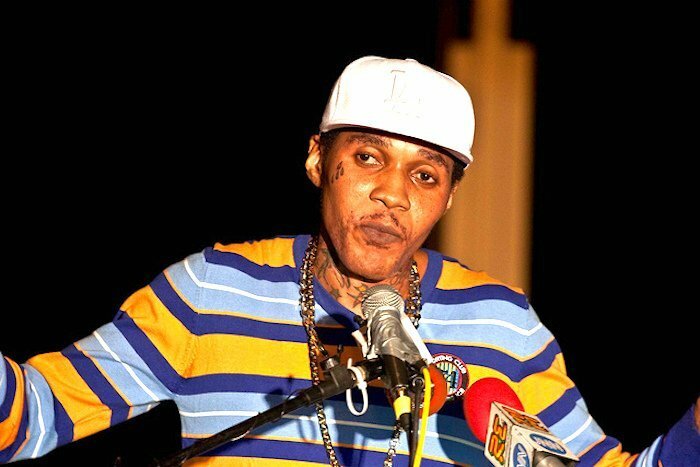 Vybz Kartel is reportedly planning to get married and baptize in prison. 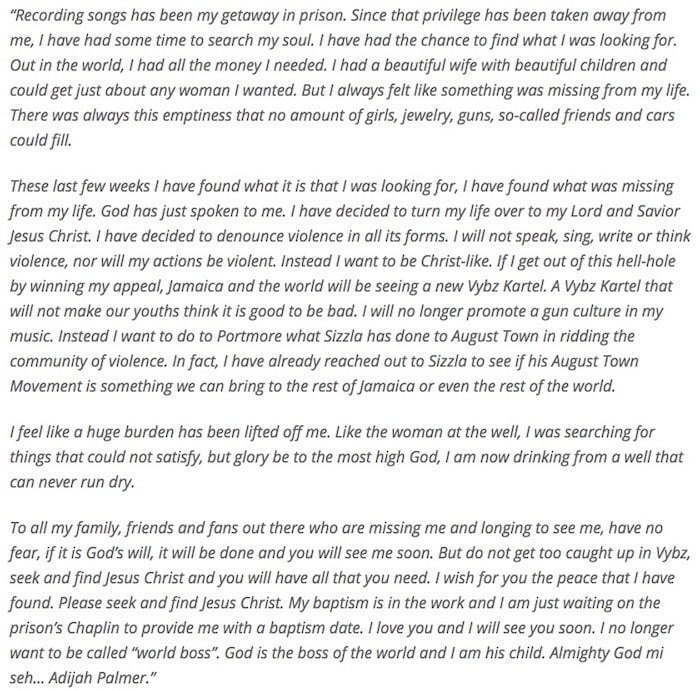 A letter hit our desk over the weekend that was allegedly written by Vybz Kartel where he confirmed that he has turned his life over to his lord and savior Jesus Christ. I said allegedly because we still can’t confirm if the dancehall deejay himself wrote the letter. Our sources inside the Gaza wouldn’t confirm or deny if the letter is authentic. Nevertheless, this would turn out to be a big move by Vybz Kartel who in the letter said he would stop recording violent and lewd music that made him into a household name in dancehall. What would this mean for his cult like following and would they still be a loyal Gazanation fan? There is also one thing to be noted in the letter, Vybz Kartel did confirm that he was recording music in prison and we already got a firm denial from the deejay that he has not been recording behind bars. Let’s be clear about one thing, the letter was published on April 1st so you be the judge. So is this a big joke or no.